It feels a bit early for this post, but time flies SO quickly! These are my best estimates for probable delivery by 12/25. 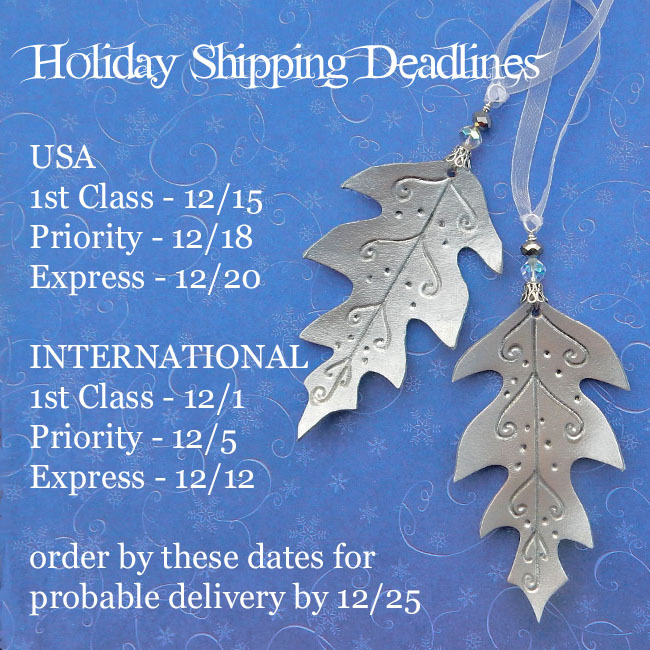 Expedited shipping options (such as Priority Mail and Priority Express Mail) are available at checkout.